Today, I tackled the downstairs catch-all cupboard which is in the entrance. Sorry about the awful before photo but I sure didn’t want to put everything back in just to take a better shot. 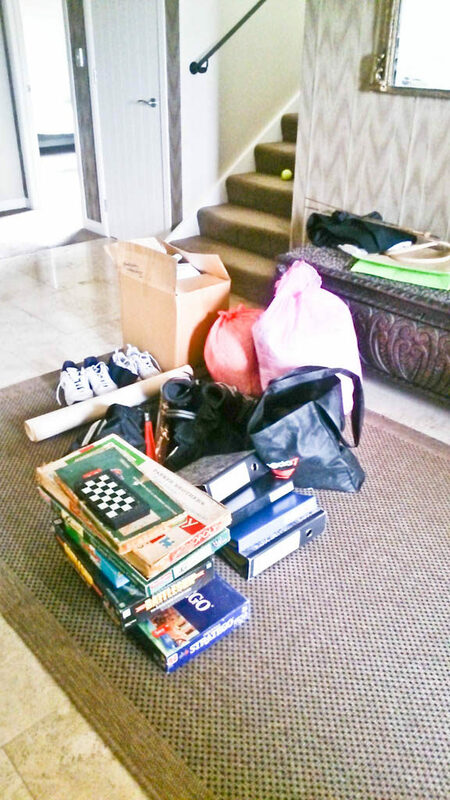 In the last image you can see what I still have to separate out into toss and donate piles. The pile includes a carved sword my students gifted me when I was teaching in Fiji on Volunteer Service Abroad when I was 18, Dario’s roller blades, old cushions and shoes, a carton of teaching materials, empty folders and a pile of well-used games. The top shelf now holds camping gear – not that we have been camping in years. The second shelf has a beach bag my husband uses, a lamp that has just been fixed and some spare squares of carpet. The next shelf has my husband’s sports bag, a fan for summer and a box of shells I collected as a child. Yes, it’s ridiculous to be holding onto them but I will get the courage to give them up soon. 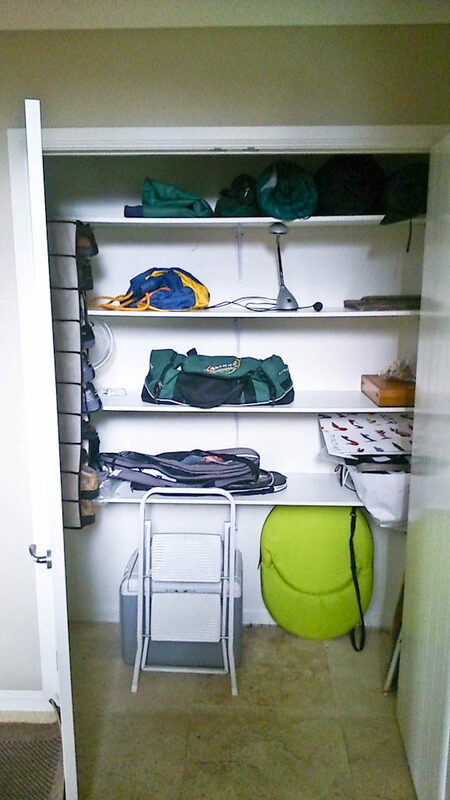 The bottom shelf has Adriano’s tennis rackets and a bag of bags, which everyone needs – right? At the bottom, there is a chiller, a beach chair, a small ladder and a beach umbrella tucked in the corner. 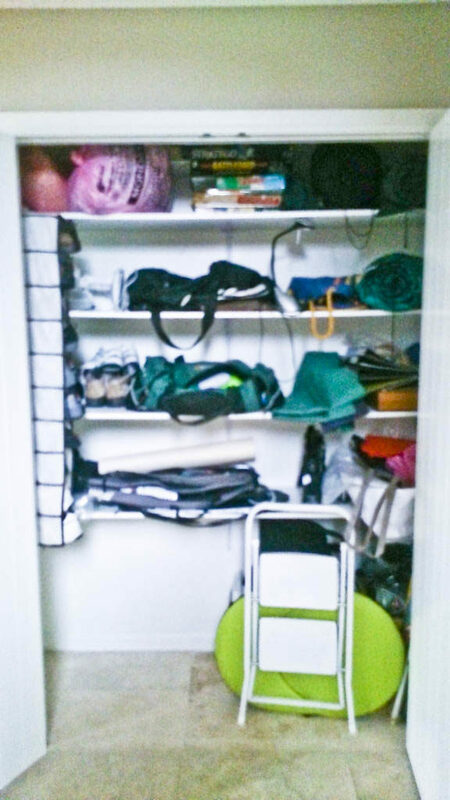 On the left there are some sports shoes hanging in a shoe organizer. A pretty good day’s work I would say and it only took me 30 minutes.